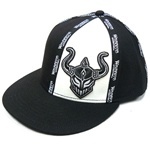 Find Warrior Wear with free shipping at Fighter Warehouse. Amazon also has random pieces of Warrior items for good prices. 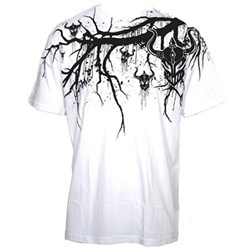 Carnal MMA has a wide selection of clothing. Have you ever seen someone wearing fight wear and thought I have got to have that, but will it last? Some brands truly are outstanding in terms of their appearance, quality, look, and design. Others are not. Clearly, most people would prefer to purchase clothing that clearly and definitively embodies a brilliant look. Let's face it, we want to look "bad". But you want it to be a style of clothing that also possesses a high level of functional durability. Of the many different brands of fight wear on the market, few are able to typify these characteristics greater than WarriorWear Clothing. Without a doubt, Warrior International certainly made the other guys tapout with its clothing line. But that is my opinion. Rant or Rave about Warrior Wear and find out what others think! The clothes in the online catalog maintain a sense of foreboding that can boost one's potential to appear as a tough and serious fighter. Yes, the clothes can make the fighter and how you perform. Ok, not literally but it helps the attitude. That is why some of the top UFC fighters past and present have been known to don Warrior clothing. Who are some of the more famous names that have selected Warrior Wear for both training and off the mat activities? Some of the top names include Mac Danzig, Heath Herring, Brock Lesnar, Jens Pulver, and many more. The names of the top talent that put on this Warrior fashion certainly should speak volumes regarding the incredibly quality of the clothing. 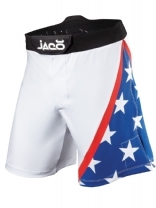 It is doubtful that many professional fighters would wear such clothing if it did not have significant value. No, WarriorWear is also known for its ability to "survive" tough training sessions and deal with all the various tugs, pulls, and stress that will derive from a heavy and serious time on the mat. A tough time with a partner on the mat or in the ring can put a great deal of stress on the clothing worn during the session. Would you want to pay a great deal of money for a set of fight wear clothing only to discover that it rips and tears easily? More than likely, you would probably wish the clothing lasted more than a few sessions! If you decide to purchase then you will not have to deal with such problems. This clothing is built to last. Some may opt to compare WarriorWear with UFC clothes. This is a wise comparison to make since you want to make the best purchase out of the available choices. Upon looking at the two, it becomes obvious that WarriorWear is on par with the UFC clothing line. So, you would be getting the same amount of quality with WarriorWear as you would with the UFC's actual clothing line. Consider that a solid recommendation for Warrior Wear clothes. 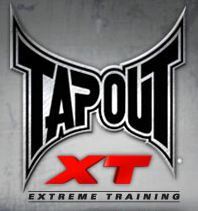 Warrior Wear makes other brands TapouT. Have you worn Warrior fight clothes? Rant or Rave about Warrior clothing right here! Also find out what others had to say.